Do you wish you could create a simple warm, cozy environment filled with the sounds of laughter? Madame Chocolat's Story Teller is here! 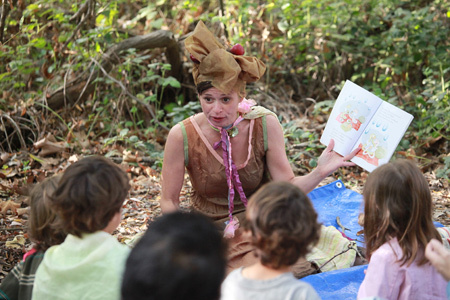 She will come to your party and use her use her charm to captivate young audiences in an animated way as she tells stories to fit any occasion, from her own library or yours!. It's like a party, every week! Ruth, mother of Leo (18 months). Catherine has a way of drawing children in and engaging them as she takes them on imaginative journeys perfect entertainment at their party, or yours..should you need a quiet activity while you socialize with other guests. 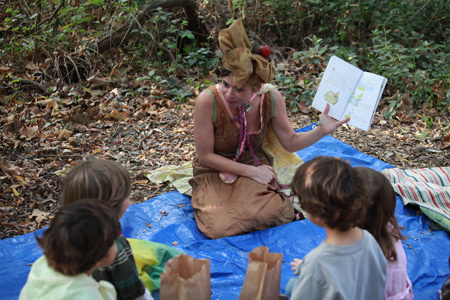 Catherine has been described many times as the Pied Piper of storytelling and was voted winner of The Battle of the Bedtime Stories . She asks you never to underestimate the power of a good story!